Students and staff of the university may take part in the new national demonstration on 15 March. In addition, President of the Executive Board Daniel Wigboldus recently assured the members of the participational bodies that notices about the event can be sent out via the university’s channels. 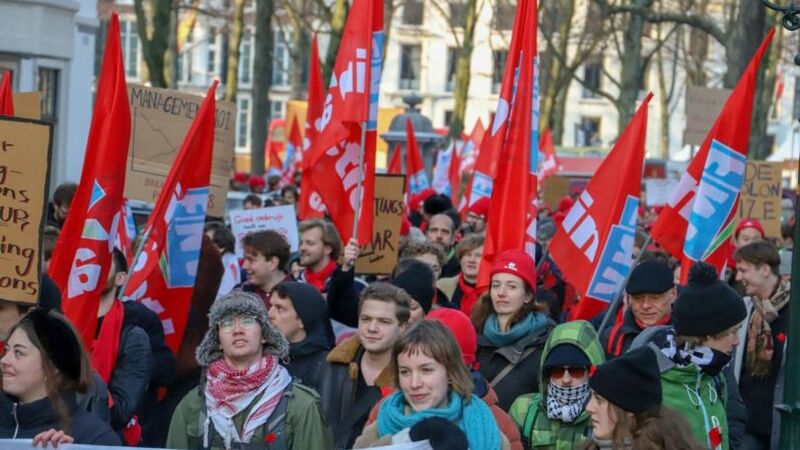 On 15 March thousands of people involved in education – ranging from primary schools to universities – are expected to go to the Malieveld in The Hague to demand more investment in their field. The protest meeting, an initiative of the FNV trade union, was immediately supported by the VAWO academic union and the national protest group WOinActie. In the Joint Assembly (GV), the members of the participational bodies wanted to know how the Executive Board of Radboud University felt about the new protest meeting. But those who prefer to work should be given the opportunity. Where obstacles arise, the deans should determine what solutions are possible. Sander van der Goes, group chair of AKKUraatd, asked if calls for the demonstration could again be posted via the university’s channels. In the period leading up to the previous demonstration, the Executive Board temporarily removed a notice from the AKKU student union because someone quickly reading the screen in the University Library (UB) might have thought that it was a message from the university itself. At the GV, Executive Board President Wigboldus repeated that notices about the demonstration will be facilitated as long as it is clear who the message is actually from.